Register Today, or fill out RMC Flyer and Registration Form! Interested in becoming a sponsor? Fill out RMC Sponsor Form to claim your spot today! 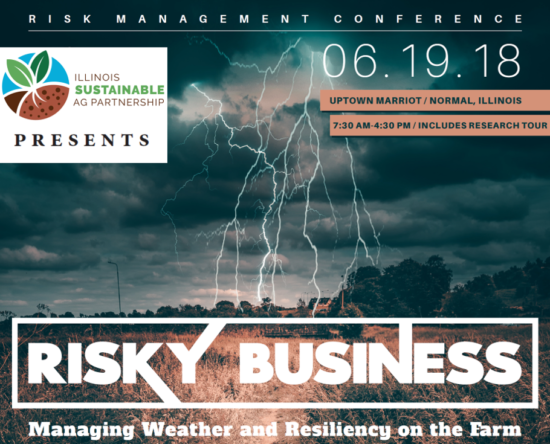 Join the members of the Illinois Sustainable Ag Partnership for this state-wide Risk Management Conference on June 19th in Normal, Illinois. 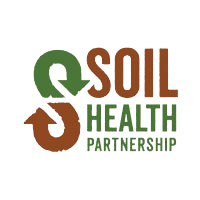 We’ll be bringing in farmers and their advisors to talk about soil health and water management from a risk management perspective through presentations, discussion panels, and interactive conversations about weather, production resiliency, economics, risk management, business drivers, and sustainability. Eric Snodgrass will be our master of ceremonies and Jerry Hatfield will be our keynote lunch speaker, followed by an afternoon bus tour of on-farm research projects. Join us for this exciting schedule of events! So, what does all of this mean on the farm? 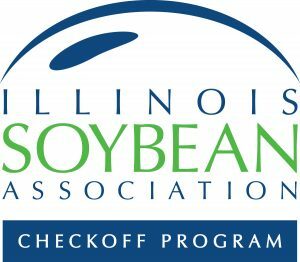 There will be 4 stations focused on concrete takeaways and for farmers and retailers. The event is being held at the Bloomington-Normal Marriott Hotel & Conference Center in Uptown Normal, 201 Broadway Ave, Normal A block of rooms will be held at the Marriot for Monday, June 18th at a reduced rate of $114/night under the title “Risk Management Conference.” Reservations must be made by May 28th to receive the discount by calling (309) 862-9000 or book your group rate for Risk Management Conference online. Free parking will be available in the attached parking garage at 201 W Beaufort St, Normal. THANK YOU TO ALL OUR SPONSORS FOR MAKING THIS POSSIBLE! Don't forget to add #FarmSmart to all your social media postings!